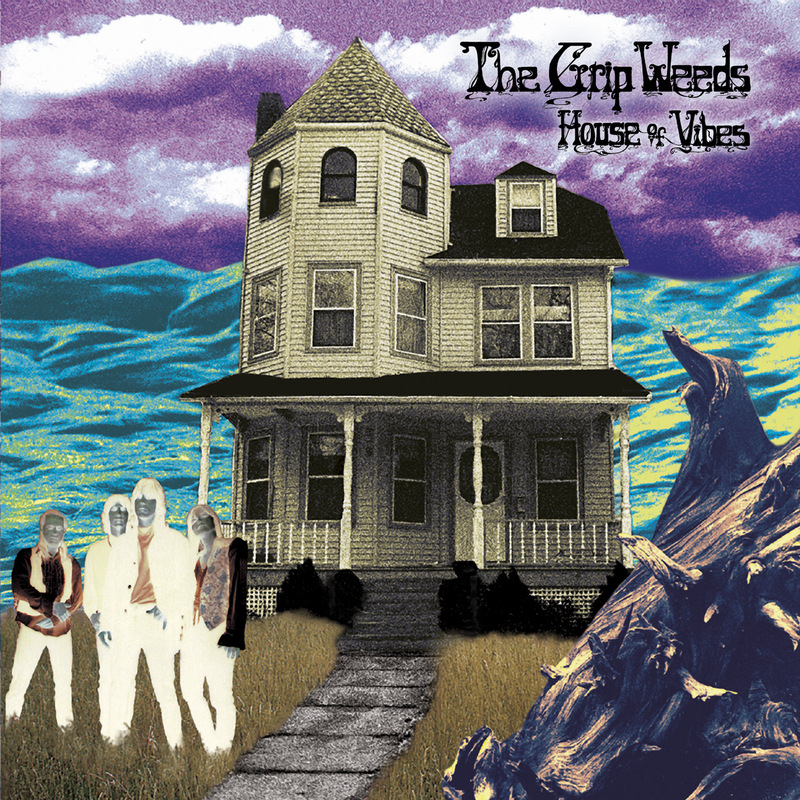 THE GRIP WEEDS "HOUSE OF VIBES" (SUGARBUSH SB048), out now is their classic debut 2004 album repressed on high quality 140gm audiophile vinyl! Limited to only 400 copies with a full colour insert. The New Jersey band's raucous blend of Cheap Trick's power chords, the Byrds' ethereal jangle and CSNY's airy harmonies was different, half a decade too early for the New York-based garage revival of the early 00s, and a decade or so too late to be in sync with the West Coast's Paisley Pop movement. No wonder this self-recorded, self-released gem of the power pop art fell on mostly deaf ears, lauded by a few Jersey visionaries, hailed in Germany but completely ignored by commercial radio and MTV. It's too bad, because if there ever were a record tailor-made for blasting out of AM radio on the way to the beach House of Vibes is it. From the first crunching chords of "Out of Day" through the last feedback tripping psych solo of "Walking in the Crowd", the record balances precisely at the tipping point between rock and pop. It's the same enticing ground that the Who covered in their classic Sells Out, simultaneously hard-edged and accessible, blossoming with melody and rackety with drums. And along the way, the band cranks out half a dozen classic songs, "Salad Days", "Close Descending Love", and "Don't Belong." This is a truly stunning album and the fact that this band are not massive is tragic as well as kinds cool as it keeps us who are in the know part of a very exclusive club. Buy this album today, you will not regret it. Sealed from the factory - limited to 300 copies - on audiophile 140g black vinyl - now with extra smooth polylined inners to ensure maximum quality. Only £19.99 including FREE worldwide postage. DOM MARIANI & THE MAJESTIC KELP "HI SEAS" (SUGARBUSH SB047), out now in a very limited pressing of ONLY 300 copies on vinyl comes Aussie legend Dom Mariani's latest release. Touring with the Stems this year in 2018 will do nothing to harm what should be rave reviews for this fanatstic platter. Taking its cue and influence from Soft 60s Surf sounds it also incorporates elements of LEE HAZLEWOOD, JACK NITZSCHE and sounds of EXOTICA. Always prevalent, however, is Dom's twangy reverb drenched guitar. What makes this album stand out are the superb arrangements and an overwhelming air of mystery and wonder. Some of the tracks are so laid back as to be almost soporific but keep the listener hooked and awaiting the next surprising twist. The album is almost completely Instrumental with a few vocals added here and there. This is a gorgeous album and the perfect soundtrack for a laid back summer's afternoon. Sealed from the factory - limited to 300 copies - on audiophile 140g black vinyl - now with extra smooth polylined inners to ensure maximum quality. Only £21.99 including FREE worldwide postage. Buy it now.